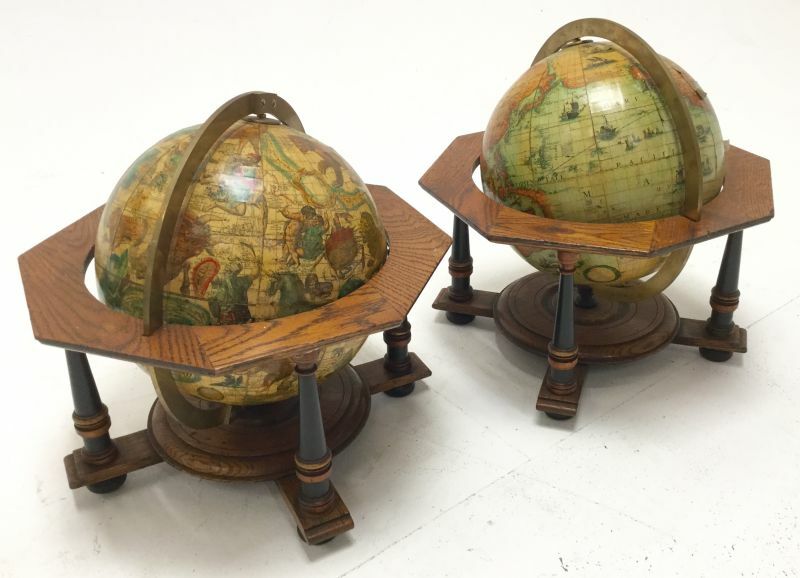 A pair of antique, desktop globes on decorative oak stands. One globe is terrestrial whilst the second is an astrological/zodiac globe. The globes are 35 cm tall and 32 cm across. The globes may be hired separately or together.